At Melville Mitsubishi our aim is to please you! We closely monitor our customer satisfaction to ensure that every customer drives away with a smile on their face. If you had a less than satisfactory experience, please contact us directly here so that we can deal with any issues you may have. Read our customer reviews below and feel welcome to submit your own feedback, you can also leave a review on our Google+ page. 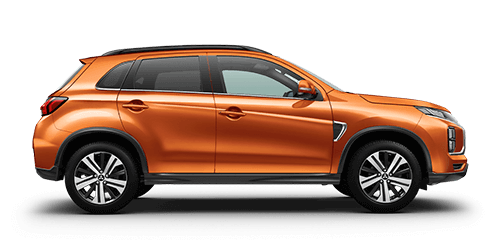 "From the minute I came and had a look at my new Mitsubishi ASX right through to this morning when I picked it up, Tavern has been the best car salesman I've dealt with (have dealt with two other dealerships in the past). He is prompt, honest and very easy to communicate with. He kept me updated throughout the whole process of purchasing my new car. I felt comfortable knowing I was in good hands and there was no hidden catches throughout the sale. I would definitely recommend Tavern and Melville Mitsubishi to anyone and everyone. I am so appreciative for the help I received and the amazing deal I got. "I would just like to let you know how impressed I have been with my dealings with your Service Department. I purchased a Hyundai i-load from you on 2/5/15 and had experienced a couple of minor issues with the car after taking it home. Both Brett and Rick from the Service department were polite and extremely helpful with keeping me up to date with the progress on my car while it was being repaired. I cannot speak more highly of your team and will be happy to get my car serviced by you when the time comes." "My 2011 Pajero is on a recall for "timing chain adjuster". Caitlin was very helpful with my questions and the booking in of my job that Wanneroo Mitsubishi couldn’t touch till August. My experience with Caitlin & Ricardo at the service desk was nothing short of fantastic. Thank you for the great friendly service." "We had a very good experience with Melville Mitsubishi. 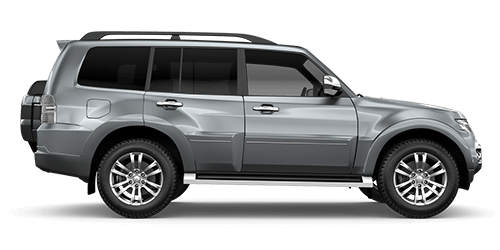 All our questions/concerns were addressed while making negotiations for buying our Pajero. We had a bit of disappointment that our 1st colour choice wasn't available, but this was something beyond anyone's control. Upon the delivery of the vehicle, all efforts were made by our sales agent to explain all the features and functions of the vehicle. That was something we have not experienced with other agents in other dealerships before. Thank you." "I have only been bringing my Challenger in to Melville Mitsubishi for the last couple of years. Originally purchased from Southside but during that time I had ongoing problems with them; Southside’s attitude was appalling. Since changed to bring my car to your company, I have had nothing but absolute excellent service and courtesy from your staff. I’ve mainly dealt with Ric, but the other front desk guys and even the phone girls are second to none. A couple of little hiccups have been dealt with professionally and no nonsense. Your follow up reminders and the little extras you do are outstanding… my husband reminded me that when he owned our previous challenger he had it serviced with you and was always happy. I guess the experience with Southside Mitsubishi has just made me appreciate the difference! I just wish to pass on to you and your service department staff my appreciation for doing your job so well." "Anyone who is looking at buying a new car, Melville Mitsubishi is the place to go. Everyone treats you human from sales to after sales. Buying a new Outlander has been a great experience for me. Thank you to Mario and all staff." "I just bought my first new car from here this week and I could not fault the service one bit. Absolute superb team right from reception all the way to the service department. Always helpful, welcoming and everyone has a smile on their face! Mario and his team made it an easy process! Definitely recommending my family friends come here! The aftercare is proving to be fantastic also." "Amazing experience with Melville Mitsubishi! Being my first car they made everything extremely easy for me to understand. Extremely satisfied with the condition of the car, the price and the customer service. Would highly recommend them to anyone!" "Just purchased my first Challenger and I received excellent service from everyone at Melville Mitsubishi. Everything I needed to know was explained clearly and nothing was too much trouble. Really appreciate the friendly, professional staff. Thanks Doug Smith, Marnie and Alex for your help." "Ugraded my car to a Lancer and was guided to a great used car. Low kilometres and great condition. Very happy with the work done by Doug Smith, Marnie and Alex. Everything prepared and ready every time I needed something done. Thanks everyone." "I traded my car in at Melville Mitsubishi & the entire experience was fantastic! Doug is really a professional and personable consultant and I trusted him completely. When we decided on the right price for changeover I was able to drop off my old car and pick up my new one on that same day!! Still loving my new wheels. Thanks again Doug!" "Can't speak highly enough of service from your salesman Doug. He was willing to drive to Jurien Bay on a Sunday for us to test drive our Colorado. This was without any guarantee of a sale. Secondly, he showed a great deal of patience when our finance took longer than expected to come through. Plus, he offered to pick us up from the airport when it was time to pick up the vehicle. Most of all, I got a free stubbie holder thrown in! I would recommend him to any family or friends that were looking at buying a new/used car." "I recently purchased a new Mitsubishi Challenger from Melville Mitsubishi. I dealt with Doug who was extremely helpful. He could answer all of my question and made sure the experience was hassle free. I would definitely recommend Melville Mitsubishi to anyone looking to purchase a vehicle." "I would like to thank Ian Service Manager for his excellent customer service in regards to assisting in my problem. Ian you went beyond my expectations with fast effective service. Mario, principal at Melville Mitsubishi listens to his customers and offers solutions. Thank you Mario for my Xmas gift. Great service and friendly, outstanding staff. Rick in service what can I say, even when you are busy you always assist us with any queries we have. Mario, Rick deserves a dinner out for him and his wife. God bless you." "My wife & I have bought many cars over the years, with most experiences leaving us frustrated, more like going into battle rather than a pleasurable experience. After compiling our short list of suitable vehicles we went on the hunt. Purely by chance we called into Your dealership, thought we had gone into the wrong place. Happy, friendly, interested, courteous, knowledgeable (without blinding us with statistics) team of professionals. Well we ended up buying a beautiful ASX XLS, all handled without any dramas. Can't wait to buy our next vehicle. Heart felt thanks to, Justin, Craig, Luke, Tavern, Mark and the service team. PS. Helen brought the car in for a routine service, without any hesitation nor prompting she was given a courtesy vehicle. Other dealers learn from these consummate professionals, not how to do it well, but very well. All the best for 2016 & on. Another PS, You'll do very well with your new Pajero Sport." I just bought my first ever NEW car from Melville Mitsubishi from really helpful sales man by the name of Justin Hocking. From the first phone inquiry to the final handshake he was the ultimate gent, helpful and well informed, he even set my phone to the car music system. 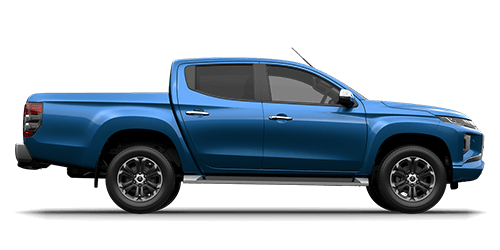 I am totally stoked with my vehicle and the buying experience and would urge anyone who is considering buying a new vehicle to give these guys a go. "I recently bought an ex demo car from Justin and was more than happy with the service I received. 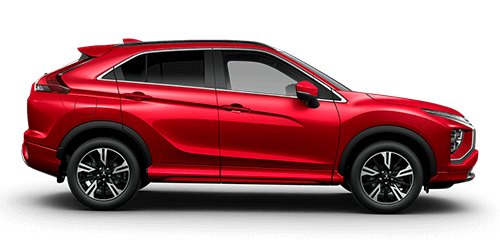 I would not hesitate in recommending Justin and Melville Mitsubishi to my friends and colleagues when they purchase another car and I will certainly go back for my next car." "Marg and myself have been very impressed with the high standard of service provided by the staff at Melville Mitsubishi. Justin Hocking has been extremely helpful in working through the maze of issues associated with the purchase of a new car. His honesty and attention to detail suited our purchasing style and he has contacted us since the purchase to make sure that every thing is o.k. with the Outlander." "Just purchased a Mitsubishi Lancer at Melville Mitsubishi. Justin Hocking, our sales consultant was very helpful throughout the whole process, explaining everything and throwing in a few interesting stories along the way. I would recommend him and the team at Melville Mitsubishi for any car purchases – great experience." "Had a great experience with Melville Mitsubishi. Everyone was very helpful and went above and beyond. I was kept well informed and everything was done quickly. It was a smooth and easy process and I would recommend this dealership." 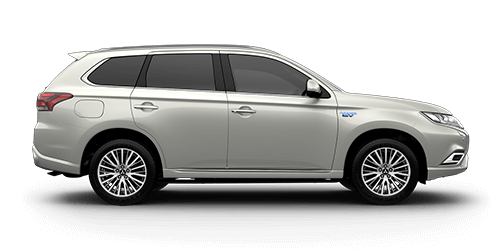 "I was impressed with Luke's knowledge of the Mitsubishi Outlander PHEV and his friendly attitude. Craig was also very helpful. It was one of my better experience. It makes the trade-in a wonderful process. I would not hesitate to recommend them to my friends. Thank you to both of them." "We recently purchased a Triton with Justin from Melville Mitsubishi and we found the service impeccable, being customers from out of town we found the communication and service to be top quality, very open and honest, we will be in soon for the second car..."
"This testimonial is in relation to Luke Fanchetti. I met Luke about 6 weeks ago when I entered Melville Mitsubishi's yard. Luke was friendly, open and honest. He very clearly let me know he was a new member of the team and that he may not be able to answer all my questions. Luke was familiar with the car I was looking to purchase and informed me of all the various things Melville Mitsubishi has to offer. He also took an interest in me and my situation which I appreciated. After meeting Luke the first time he respected my wish not to be pestered and was mindful of my time constraints. When the contract to purchase was agreed Luke followed through with all matters necessary to complete the handover. Subsequent to taking delivery of the car Luke has also been in contact to see if I'm enjoying my new vehicle. All in all a positive experience and I thank Luke for that!" "I recently purchased a GLS Pajero from Melville Mitsibushi. I have to honestly say that the whole process was carried out in a friendly and professional manner with non of the usual pressure one gets when purchasing a new car. My salesman, Luke Fanchetti was extremely helpful and courteous at all times. He kept me appraised of the process of valuing my trade in and assisted greatly in helping with the add-ons I purchased. There was one small item fitted incorrectly, but Luke arranged to have this remedied very quickly. I would have no hesitation in recommending Luke and Melville Mitsubishi to anyone who is looking to purchase a Mitsubishi vehicle. In addition I had Alex present me the options of Paint and Trim protection, again a relatively painless experience handled in a professional manner." We just wanted to contact you all to say thank you for the great service we receive from your team. Every time we go in to get the car(s) serviced my husband and I receive fantastic care, smiles and efficiency. We have 2 cars purchased from this outlet (Outlander and Subaru WRX) and we don't mind putting them in for their services.... always receive a hire car / never have to wait / comedy at the desk. It makes it a pleasure. Please say WELL DONE,,, and Thank you to the Service Team! "Recently purchased my Mitsubishi Lancer from Melville Mitsubishi. All I can say is they have a friendly, honest and non pushy sales team. I was helped by a great sales person called Luke who took care from the beginning till the after sales follow up. Great work Luke and the team keep up the good work!" "We recently bought our sixth Mitsubishi, five Pajero's and a Triton, love the product. Our first time to Melville Mitsi but it wont be the last. Well looked after by Luke and the team, can highly recommend them, thanks Jack and Ali." "I have recently purchased a new vehicle from your dealership. I just wanted to say thank you for the outstanding help and run through of all required information I received. I was dealing with Luke and he was outstanding with all his help. He would be an asset to the company. Thank you." 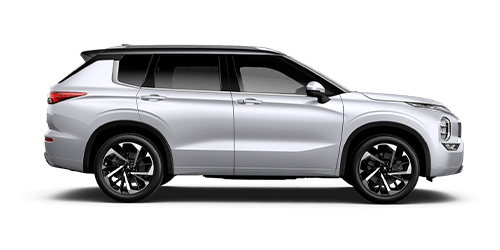 "When I went into Melville Mitsubishi salesman Luke Fanchetti impressed me with his knowledge about the cars he is selling.In my experience in the past many salespersons have no real knowledge of the product that they are selling. When I met Luke I was so impressed with his salesmanship I went from just a casual look at the ute to buying it. I have no hesitation to recommending Luke to anyone who maybe looking for a car." 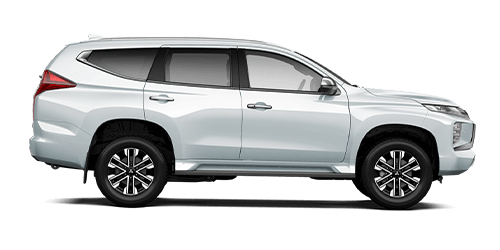 "We recently purchased a new Pajero Sport from Melville Mitsubishi and we were thrilled with the excellent customer service. Luke, our lovely sales person was friendly, helpful and not at all pushy. He was a delight to deal with. Buying a car from Melville Mitsubishi was definitely a great experience. All of the staff were well informed, helpful and happy to answer any questions. I would definitely recommended Luke and the team if looking for a new or used car." "I recently purchased Mitsubishi car at Melville Mitsubishi. My fiancee and I were very happy with Tavern's service and other staffs. They all are so friendly and helpful, different with the one "Mitsubishi showroom" that i ever went to. The service also very fast than i ever expected. Highly recommended to friends and family to come here. Thank you so much." "Just want to say a big shout out to Luke Fanchetti and the team at Melville Mitsubishi. Last week i was handed the keys to my new Lancer ES Sport, and just today i was surprised by a phone call from Luke following up on how everything was going with the new car, and if i was happy with it. From the first day I walked into the lot to have a gander, I was greeted with a smile and friendly service by Luke, and at no time did i feel pressured into buying anything. Long story short.. after a test drive and working out the deal, the other team members (optional extras and financial depts) continued with the great customer service and never did i feel pressured into getting the optional extras. On pickup day, Luke was unavailable, but his colleague (sorry forgot his name) continued with the same friendly courteous customer service. He showed me thru all the controls and also showed me where i needed to go for future car service / maintenance checks. The phone call today from Luke, just proved to me that its not just about the sale, Those small simple personal touches is what goes a long way into keeping and maintaining those customer relations. So thank you Luke and Melville Mitsubishi.. Congrats and keep it up." 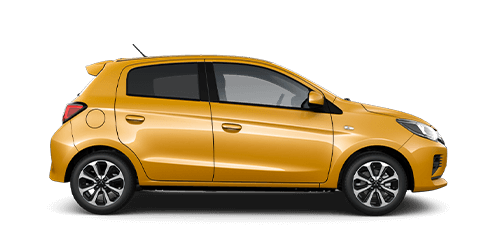 I recently bought my first car, Luke and all the sales team at Melville Mitsubishi were exceptionally helpful and made the process very easy. Excellent customer service, I would definitely recommend them. "Thank you to the team for pulling out all stops to make sure we could leave with the Prado on Friday. It was very much appreciated!! Big thank’s to Alex for entertaining Katie & Josh, they thought she was great as did I. So far we are very happy with our purchase." "Hi Guys. Just to say you did a great service on my Triton last week. The ute feels really 'tight' and smooth. Thanks to the service tech!" "Rocky Bay would like to thank the generous support from Melville Mitsubishi at the recent 35th annual Royal Fremantle charity golf day in support of Rocky Bay. With over 130 avid golfers in attendance we raised over $24,000 in a day full of golf, auction bidding and raising awareness for people living with disability. Funds raised will go towards a project for humanoid robots to develop skills for children living with Autism and we couldn’t have done this without the help of our sponsors such as Melville Mitsubishi." "Melville Mitsubishi was a great place to deal with. I have told a lot of people to go there and have a look. I also have told people on a Facebook page for Tritons if they want one to come and see Melville Mitsubishi, they are a great team." "Thank you to the team at Melville Mitsubishi, my wife and I purchased a used 2008 Pajero LWB and were presented with log book history and relevant information about the vehicle. We had a few minor issues (cosmetic) which were normal for a used car and we were very happy with the service received in rectifying these issues speedily. Mario (DP) , Mark (used car manager) and all the staff were friendly and helpful and made the buying experience a stress free one." 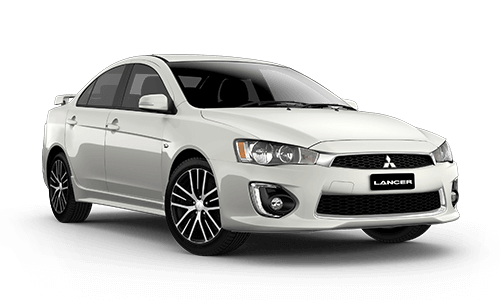 "I couldn't be happier with the friendly happy staff that we deal with each time we have our Lancer serviced. We trust them implicitly. After hearing our friends complain about the costs of their services, it makes us proud to send them to Melville next time." "I recently purchased a Land Rover, Defender from the team at AHG Mitsubishi and I have to say the service was impeccable. As this is my first experience with a dealership I was sceptical at first but from day one my consultant Brandon did nothing but bend over backwards to deliver. I couldn't be happier with the whole experience and I will be recommending this dealership to anyone looking for a new car. Thanks everyone who helped out and especially Brandon, mate thanks a lot your a great image for all car salesmen." "I would like to send a commendation to an employee by the name of Alison, who went out of her way to help me on Tuesday, 26 March around 5pm. She had finished work and was leaving when I asked for directions and she went back inside to work and came out with the info I needed, She was friendly and helpful and went out of her way for me. I really appreciated her assistance, I won't forget it! Thanks Alison." "This is the second Pajero I have bought from Melville Mitsubishi, as with the first the staff were fantastic. All the people I dealt with were excellent in their approach. The salesperson Wayne O'Brien was better than excellent, very very courteous and most helpful. "We came in recently to purchase a Mitsubishi ASX, we were really happy with the entire sales experience at Melville Mitsubishi, especially when dealing with Kingsley and Anthony. We would highly recommend them to anyone looking for a new car."